If you’ve ever downloaded a bunch of sounds of the net and tried loading them into an old legacy MPC, you’ll no doubt be very aware what a bunch of finicky old timers these machines can be. 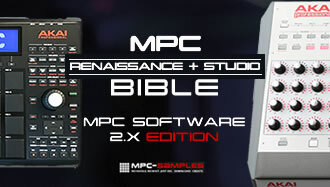 Incompatible bit rates, unknown file formats and excessively long files names all big spell trouble for most old MPCs. If you don’t fancy spending hours individually renaming and converting a thousand samples into more MPC-friendly versions, the new MpBlaze app could soon form an essential part of your core workflow. MpBlaze is a file converting app for Macs running OSX 10.10 or above, written entirely with MPCs in mind. There’s no unnecessary bells and whistles here – just point it to a bunch of samples and it will quickly batch convert them into MPC-friendly format with no fuss. Now click on ‘Output Folder‘ to select the folder on your drive that you wish your converted files to be sent to. If you wish to append characters to the start of the file name, enter those characters in the ‘Add Prefix‘ box. For example when I create a commercial sample library, I will append an identifier to all the samples in the collection, normally based on the product name, e.g. I added ‘CPM’ to the front of all the samples in my ‘Cut & Paste Mixology‘ sample pack. Here you configure exactly what needs to be done to the selected files. First select how many characters you wish to truncate the file name to. Typically length should be 8 characters long for proper old MPCs (e.g. MPC2000, MPC3000), 12 characters for the MPC500, and 16 characters for the MPC1000/2500/5000. Check ‘Append number to file name‘ if you wish to add a unique number to the end of each converted file. This is handy if you are converting a bunch of files that start with the same characters, as it will avoid having duplicate file names after truncation. For example, if you had two files, ‘averylongfilename001’ and ‘averylongfilename002’, after an 8 character truncation, the resulting files would normally both be called ‘averylon’. 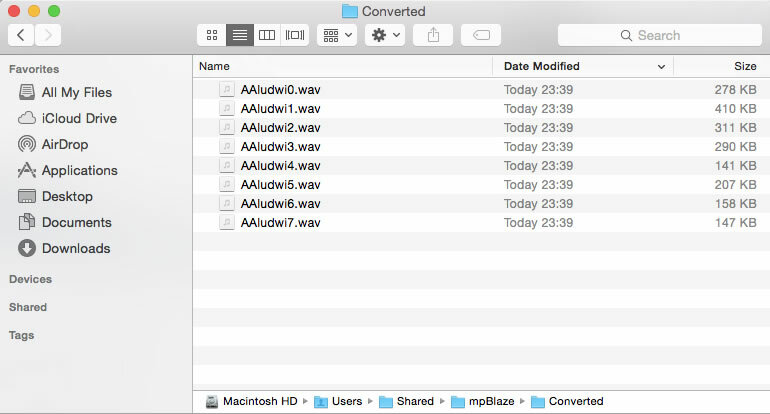 However with ‘Append number to file name’ selected, you’ll instead get two files called ‘averylo0’ and ‘averylo1’. Select ‘Convert samples to 44.1 / 16 bit‘ if you are converting for a 16-bit only MPC, e.g. 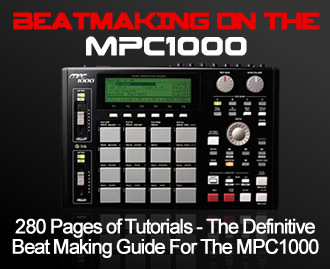 the MPC1000/2500/500. My tests showed it is capable of converting from any bit rate to 16 bit, and from any sample rate to 44.1kHz. ‘Replace Original File Prefix With My Prefix‘ will attempt to swap out any existing prefix on the selected files with the prefix you added in the ‘Add Prefix’ box. For example, a file called DDB_snare01 could be automatically renamed to CPM_snare01 using this option together with an ‘Add Prefix’ value of ‘CPM’. When functioning purely as an MPC-friendly file renaming application, MpBlaze performs perfectly, batch processing thousands of files quickly and without issue, making it a fantastic app for sample renaming for any MPC model. For me, that alone makes it worth the (very low) asking price. However if you have an MPC2000 or MPC2000XL you should be aware that if you select ‘Convert to 16 bit’, the resulting files will not load as these two MPC models fail to recognise them as PCM WAV files. The developer of MpBlaze is currently looking into this, but do be aware that the 16 bit files appear to load without problem in the MPC1000/2500/500/5000/4000 (the 5000 and 4000 will of course load 24 bit files natively, so no bit rate conversion is required). The other issue to be aware of is that the bit conversion process removes any MPC-specific data such as loop points, so make sure you perform bit conversion before you start editing them further in your MPC. If you are looking for a simple but effective file re-namer to help tidy up a large sample library in preparation for MPC loading, MpBlaze is a great solution. It’s not a feature packed application, but it doesn’t need to be. Thirty seconds to set up a batch conversion and you’re done and free to get cracking with making music. The 16 bit incompatibility issues are unfortunate for MPC2000/XL owners, but even with this limitation I still think this app is worth for the file renaming capabilities alone. In the future I’d love to see some more advanced options aimed towards sound designers, such as the ability to add your own regular expressions to allow for more complex ‘find and replace’ conversions, or options to convert file names to lower case, however for most day-to-day file naming tasks, this app should easily have most users covered. MpBlaze currently costs a mere £4+ VAT (approximately $7 USD) and comes with a 30 day, no quibble, money back guarantee. Grab it today from Gumroad. For 10.6.8, no sorry, I don’t. There’s not many applications these days that still work with 10.6.8, it was discontinued in 2014. Does your hardware support a more recent OS? Alright let’s see, thanks for your answer man! will this convert mp3s as well? 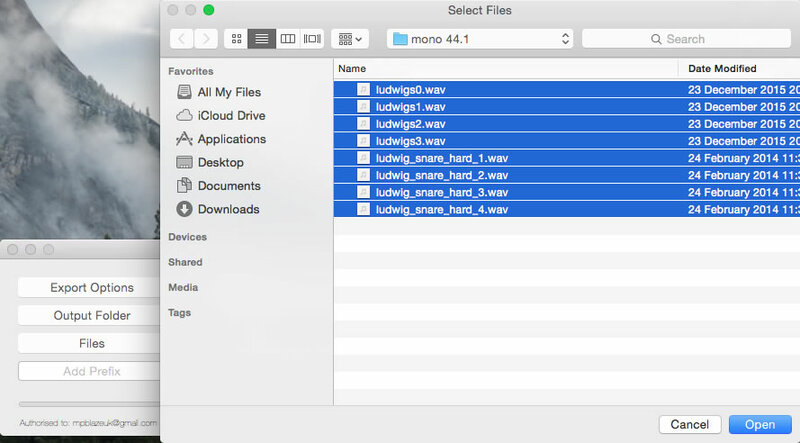 It doesn’t give you the ability to select a folder, So if you, like myself, have your samples organised in Categories/Sub-folders (Harddrive/Samplelibrary/Samples/One-shots/Drums/Kick/) I would skip this app because its gonna take you so long that you could most likely do it quicker using your preferred DAW or recording software suite. Have you found a app to convert folders with sub-folders? I have organized my files like you. Oh and theres no way of contacting the developers for any sort of support, you’re on your own with this one.